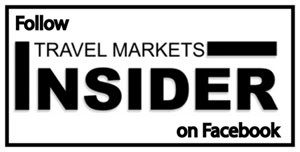 The Travel Markets Insider newsletter is attached to this post as a PDF file. To open the PDF file, please click on this link. Breaking News: As we get set to send out this issue of TMI, we received notice that JFKIAT, the operator of Terminal 4 at JFK International Airport in New York, has named Roel Huinink as its new CEO. Huinink will replace Gert-Jan de Graaff, who has served as President and CEO since 2014, and is moving to the role of Chief Executive Officer of Brisbane Airport Corporation (BAC) in Australia. Huinink will start at JFKIAT on August 1, 2018, and will oversee day-to-day operations at Terminal 4. He currently serves as Program Director at The Royal Dutch Touring Club ANWB, and also sits on the advisory board of Norwegian-based Airport Retail Group and a member of the Board of Directors of Rygge Sivile Lufthavn A/S – the operator of Moss Airport in Rygge, Norway. We are delighted to feature some photos from Lancôme Travel Retail Americas new flagship store in the DFS T Galleria in Waikiki. This is the largest Lancôme flagship in the Americas and invites customers to experience the brand in a fun and playful immersive environment. Page 1. Paradies Lagardère and its partner USCareWays have opened an innovative airport health center at Phoenix Sky Harbor. Page 2. The UNWTO reports strong outbound tourism spending from both its traditional and emerging markets in 2017 – with travelers from the U.S. spending $12 billion more last year than they did the year before. China, which tops the list in tourism spending abroad at $258 billion, upped its spend by $8 billion in 2017. Story on page 2. M1nd-set focuses on European travelers in its latest shopper research – Europeans preferred to travel to Europe last year, followed by destinations in Asia Pacific and then North America. The forecast will change this year though, with the U.S. and Europe set to see less activity, says the research group. Page 3. UNWTO: Overall, the European Union had a stellar year in 2017, reporting an “extraordinary” 8% increase in international arrivals. See more details from the joint EU-UNWTO report on page 4. To see full report, please click here. ForwardKeys: while travel to and within Europe is booming, the U.S. tourism picture is under-performing compared to the rest of the world, says the travel tracking company. Story on page 4. MARS ITR has strengthened its team with three new appointments. Page 1. Another World Record for The Macallan. Dubai-based spirits retailer Le Clos sold two extremely rare bottles of The Macallan 1926 for $600,000 each at one of its stores at Dubai International Airport. Story on page 5. Capella, the company behind the worldwide successful Lambretta watches, is launching a second brand at the TFWA Asia Pacific Show. Called Tick & Ogle, the first collection is Bloom 34, a ladies watch with a trendy floral design. Page 5.